Hundun is a personification of primoridial chaos in Chinese mythology dating to 600 B.C. 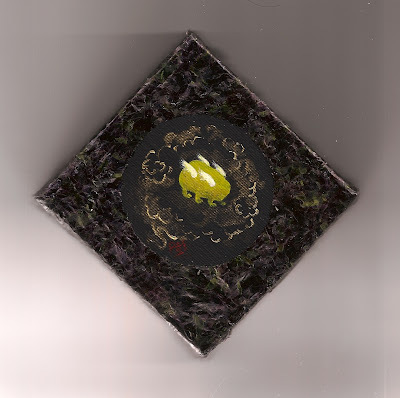 This miniature is inspired by Richard Strassberg’s translation of ancient texts, in which hundun “resembles a yellow sack with…six legs and four wings and exists in a state of confusion with no face or eyes….He knows how to sing and dance.” 5x5, acrylic and seaweed on canvas, signed by artist Paula Peng. 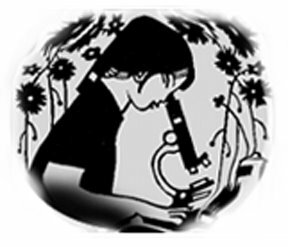 Bid on my art and other items of rare value while sipping Bulgarian Rakia and sampling Tzvetanka's banitsa at the Panoramic Sirens Auction, April 3, generously hosted by the Velaslavasay Panorama, between performances of Superdevoiche Bulgarian Polyphony, and help us raise money to go to Bulgaria!